Welcome to Critic's Notebook, a quick and off-the-cuff car review consisting of impressions, jottings, and marginalia regarding whatever The Drive writers happen to be driving. Today's edition: the 2018 Audi A4 sedan. Quick Take: Athletically handsome and elegantly (and futuristically) appointed, the Audi A4 sedan makes potent use of a fundamentally sensible engine. It's a shockingly good contender in the midsize luxury sport-sedan category. Display + Interior: I'm a simple man with low-tech needs when it comes to infotainment—I can make do with phone pairing, decent GPS, and satellite radio—so I rarely find myself lingering on a display screen the way I do, say, a hood scoop or a gated shifter. But Audi's virtual cockpit driver's display is a surprisingly beautiful piece of functional interior design, with richly colored graphics like a shifting neon painting. The system has a sleekness and refinement and ease of use that makes you wonder if it wasn't somehow brought back from three years into the future. 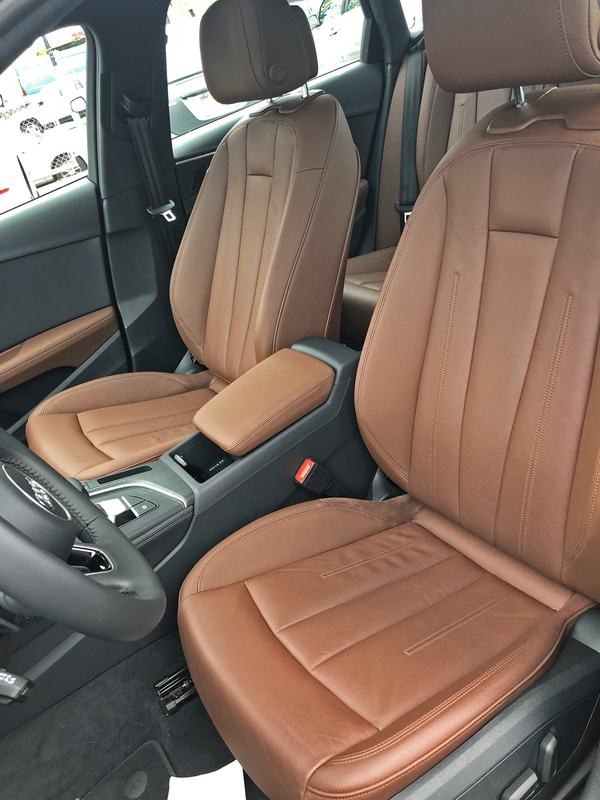 The rest of the interior is likewise elegant but rooted more in the present-perfect, with Audi having popularized and then perfected the type of open-grain wood it still uses to great effect in the A4's clean, well-planned cabin—Natural Gray Oak, in this case—and subtle touches of blue light accenting the wood and leather and muted brightware, all of which is fitted together tightly and appears of a piece. Comfort: It could be argued that this falls into the "interior" category, and it's true all the controls—including the myriad steering wheel ones—are not only well laid out and easy to use, but easy to reach, and that the seats saw me restfully through about 14 hours of driving in four days. But there's also a lack of fussiness to this car I appreciate. It's easy to see out of, and to park (the cameras front and rear work with remarkable clarity). The blind spot assist is a clear but unobtrusive yellow light on the interior of the side mirrors. The trunk is big enough for a lot of stuff, assuming the car isn't infested with children and required to lug all of their various needs. It spends very little time beeping or flashing or cajoling you, which instead of being considered assault is somehow seen as extra safe. Also, the back seat is surprisingly roomy. Exterior Design: This is a bigger car than I expected—it looks like a smaller large sedan rather than a larger midsize sedan, if that differentiation still holds any meaning—but it carries its size well. It's understated and solid, but still looks fast, like someone carved a very large knife out of an even larger bullet. The light signatures, polished and sharp, with thin yellow filaments zipping side-to-side to indicate turns, are modernly handsome and vaguely soothing. Hard Driving: The AWD models are 66 pounds lighter than outgoing A4s, which gives a sense of Audi's sporting intent with this car. In Drive, you can simply pull the gear lever down into Sport for a quick dose of urgency. But if one really wants to get after it, simply choose Dynamic drive mode, and shift things into manual by moving the gear lever to the right. The result is like a power-up, pulling everything possible from the I-4's 252 hp and letting the 273 lb-ft really put the twist on: the throttle becomes eager, delivering immediate power once you're in the sweet spot above about 3500 rpm, and holding the gear until you kiss redline (at which point the car will take it upon itself to upshift). The result is smooth and fast and composed, if slightly Germanic in its diligent WE ARE HAVING THE FUN NOW demeanor—but make no mistake: if you see an open, twisty road ahead of you in this car, your mind will go to all the right heart-thumpy places, and the A4 will be more than happy take you there. It's no track specialist, but it's a fun fast car when properly motivated, and that's plenty. Keyless Entry: This falls squarely into the "Read the manual, dolt," category, but sometimes in this job you have to jump into a loaner car the moment it arrives and put real miles on it non-stop for several days. And, finding myself in this very scenario, I admit the logic of the A4's keyless entry remained as unknowable to me at the end as at the beginning. The proximity system would let me open the front driver's door but not the rear, or sometimes not the front passenger door—but sometimes yes—and once, at a gas station, I hit the "lock" button as I went inside for a coffee, then returned five minutes later to find a group of gawkers around the A4 as it was absolutely losing it's goddamn mind, screaming and flashing and trembling with rage. However the system is meant to function, it should be more intuitive than that. I'm sure it's due to various safety concerns, but I'll risk the occasional carjacker if it allows me to dump an armload of stuff in the backseat without fumbling for the key. Steering: If you've ever seen those videos where big Eastern European drunks take turns slapping each other's beefy, immovable slabs of head, you have a sense of the A4's obstinate steering, especially around town: it's vaguely, numbly aware there's an attempt at input being made, but it's chosen not to be bothered by any of that. Also, it doesn't say much. Stiff Ride: This is a sporty sedan, so some of the rigidity is to be expected, but even in Comfort mode the A4 can only ever get to the softer side of firm. It didn't bother me, but the same was not true for some of those who found themselves in the passenger seat. 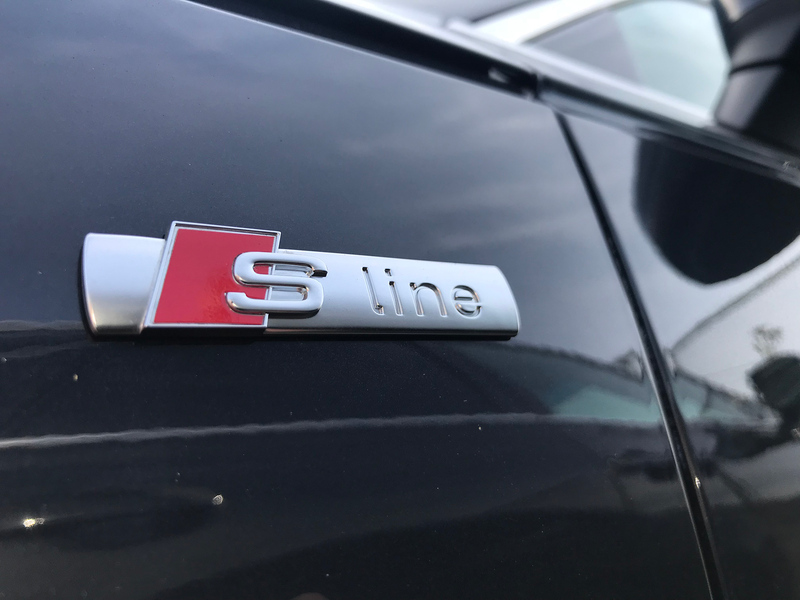 This is a shockingly good car, even at $52,000 as tested: handsome and fast, packed full of useful tech, luxurious through smart design rather than gimmickry and overcompensation, and superbly comfortable. It has top scores on the government safety ratings—all fours and fives—and it's even admirably fuel-efficient. You can get a base A4 for $36K, but I can't think of anything in this configuration—including the $9,500 Prestige Package, which includes things like a Bang & Olufsen sound system, heated and auto-dimming folding side mirrors, and many of the advanced driver's aids—I would want to go without. 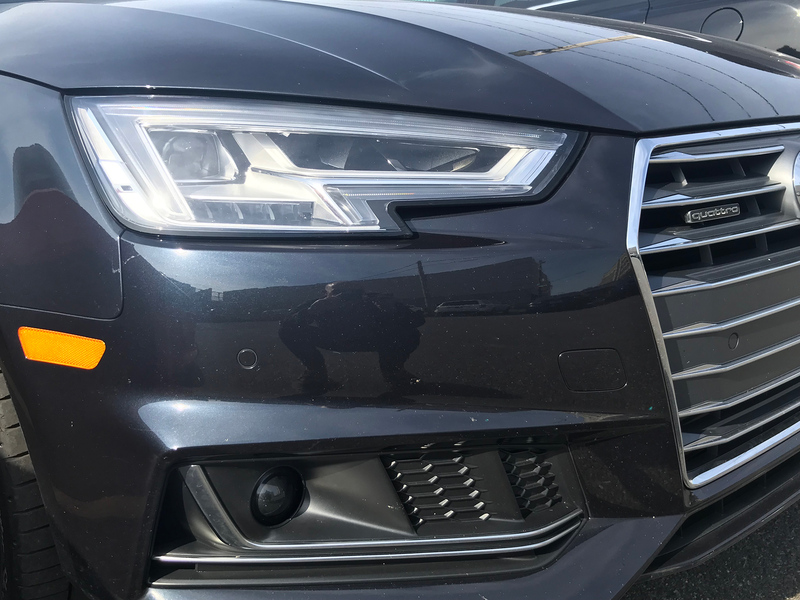 Given the size, comfort, speed, and amenities, the A4 sedan seems like a car that should work for a lot of people shopping for an approachable luxury vehicle. But most of those have already been seduced by the cold comforts of ride height and interior headroom and the mostly-false promise of the "performance crossover." That leaves the Audi A4 for the discerning group still tickled by the idea of a thrilling, well-considered, and essentially no-fuss sports sedan. They might not be around forever if we continue this slow, wheezy descent into SUV hell, but the 2018 Audi A4 is a reminder of why they should be.